Sculptra, manufactured by Dermik, is Poly-L-Lactic Acid (PLA). PLA has been safely used in orthopedics since the mid-nineties and has been used in Europe since 1999 for cosmetic correction of scars and wrinkles. Sculptra is used for restoring volume and improving facial contours. Sculptra works differently from other injectable products such as botox, collagen and restylane injections. With Sculptra, tiny particles of PLA are diluted in a suspension of sterile water, carefully implanted in the skin, and then molded for optimal results. The particles of PLA stimulate the formation of new collagen in the skin, adding volume over time. Sculptra may require a series of three to five treaents every four to six weeks. Improvement in contour occurs gradually over two to six months, an advantage for those people wishing to avoid the obious tell-tale overnight change in appearance of cosmetic surgery. There is no downtime with Sculptra treaents. Temporary bruising and swelling may occur and typically resolve over a few days. Sculptra can be used with Botox cosmetic injections, temporary injectable fillers such as Restylane, FotoFacial and FotoLift procedures and in people who have had facelifts and need a restoration of facial volume. Sculptra can also be used in the back of hands for ageing, the upper chest for deep lines and areas of depressions that may occur after liposuction. Proper use of Scultpra produces a more youthful, pleasing facial contour in people with facial ageing, wrinkling and loss of facial fat. Some practitioners combine Sculptra with a comprehensive facial rejuvenation program which may include FotoFacial treaents, botox injections, Radiesse, the Threadlift procedure and a facial muscle exercise program. 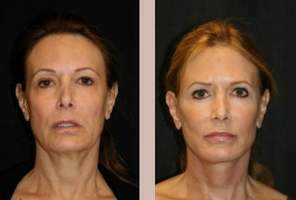 This comprehensive non-surgical facial rejuvenation program may replace surgery for some people. Dr Patrick Bitter, the world expert in the non-invasive use of light to rejuvenate skin, has been invited by Dermik to be one of a select group of US cosmetic dermatologists who will teach other physicians in the use of Sculptra. Please click here for more information regarding training courses for Sculptra.